Welcome to the Grey Army » Hiring the wrong tradesman can mean serious problems for you and your home. 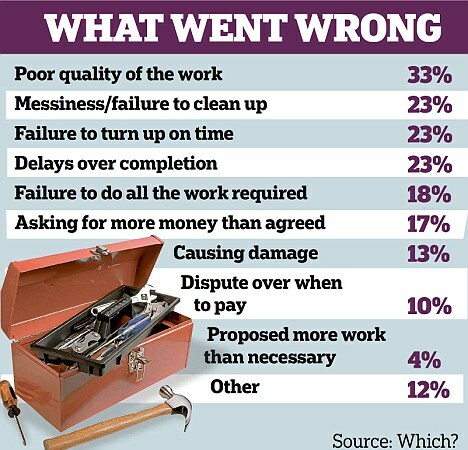 What happens when people discover a problem around their home or property and they can’t fix it themselves? They need some help and so go exploring the possibilities. They might ask a friend for a recommendation. Sometimes they answer an ad in the local paper. Sometimes there’s a small flyer or business card dropped in their letterbox. So the homeowner makes a decision. They invite a tradesman to enter their property and do some gardening, carpentry, lawn-mowing, plumbing, painting or any one of a number of jobs that need doing around the place. But is it the right decision to hire that person? Finding a reliable tradesman can be a hit or miss proposition. Sure there are great tradesmen around but there are also some average or even really bad ones. 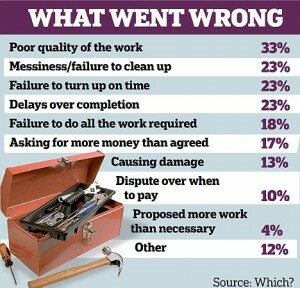 But what can go wrong if you choose the wrong tradesman? Now from the above you can see the risk you run by choosing a tradesman who is not the best in the business. And if you’re concerned about how to choose the right person, well forget those concerns and contact the Grey Army. The list of their qualities and the skills and attitude their tradesmen bring to the job and to your home, are many and oh so positive. The plus side of hiring the right Grey Army tradesman is great news indeed. It’s a bit of a no-brainer. Give the Grey Army a call.